Job-Fit leads the individual through the development of a clear understanding of their specific learning disability and its potential impact on their employment prospects. Using a strength-based approach, users are assisted in developing the self-awareness to make good employment decisions, understanding the accommodation they require, and developing the vocabulary to help others understand what they need and what they have to offer. 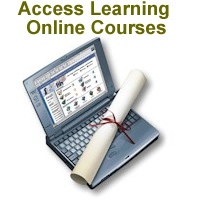 The user is encouraged to refine their understanding of their learning and working preferences and style. Information is offered on the employment options, how to develop a resume, and the skills necessary to market themselves to an employer. 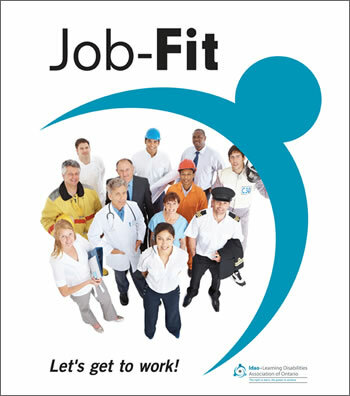 Job-Fit focuses on the organizational and interpersonal skills necessary to retain employment. Combined with the FREE Facilitator's Guide, the Job-Fit package offers a comprehensive approach to assisting individuals with learning disabilities to obtain and keep suitable employment, and enjoy the self-sufficiency and success for which we all strive.